No yard? Small space? No problem. If you live in an apartment and are looking to adopt a dog, some breeds and certain dog characteristics may do well in cozy quarters. Which are the best indoor dogs? Every pet is an individual, and dogs both large and small can do quite well in apartments or in a small house. Those that tend to thrive, however, are usually those that lean to the calm and quiet side. Why do small dogs make great apartment pets? They don’t take up a lot of room, can typically get enough exercise with indoor play, and you can pick them up and carry them easily if needed. Just know that size isn’t the only indicator that a dog will do well in small spaces, and make sure you’re focusing on the dog’s personality as well. 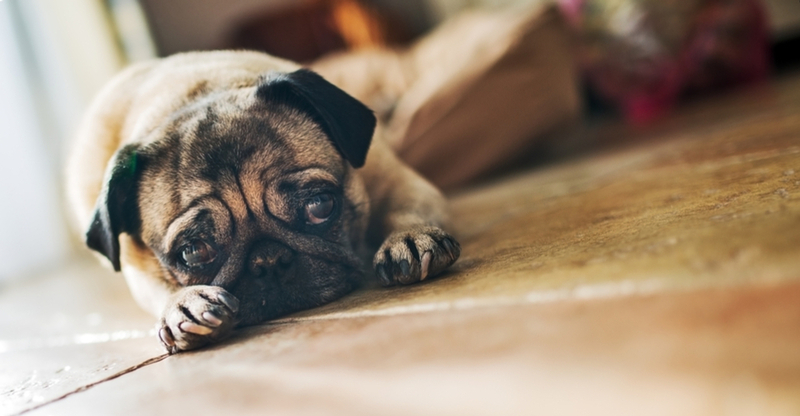 Which small dog breeds make the best apartment dogs? Below are a few you can check out to start. Just keep in mind that there are plenty of pups well-suited for small spaces, and your ultimate choice should take into account the pet’s personality and needs, as well as your own personality and lifestyle. Cavalier King Charles Spaniels weigh in around 13-18 lbs. They are sociable and friendly to most pets (and people) they meet. 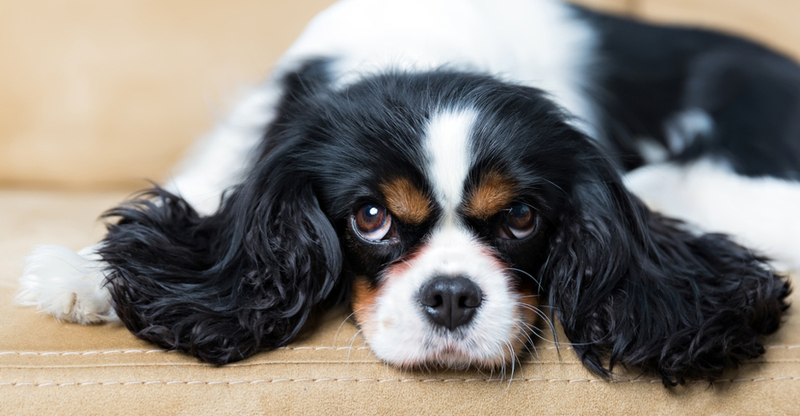 Tips: The coat of a Cavalier King Charles Spaniel requires a little extra attention, so make sure you have time for brushing or regular visits to the groomer. What is a good hypoallergenic apartment dog? While no dog is 100% hypoallergenic, consider the Bichon Frise. They may be better tolerated by those with allergies and typically weigh around 12-18 lbs. Many are responsive to training, and they’re known for being sweet, sensitive and cuddly. 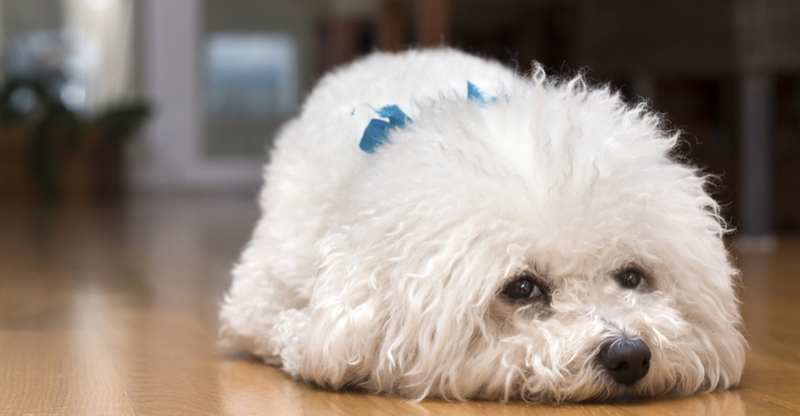 Tips: Bichon Frises may have some barking tendencies, but early training can help in that regard. They’re also good with children and other pets. Looking for a dog who loves to laze about? French Bulldogs are generally happy snuggling on the couch, and they have a silly, side that makes them fun to have around. They tend to be on the heavier side for small dogs, weighing in around 16-28 lbs. 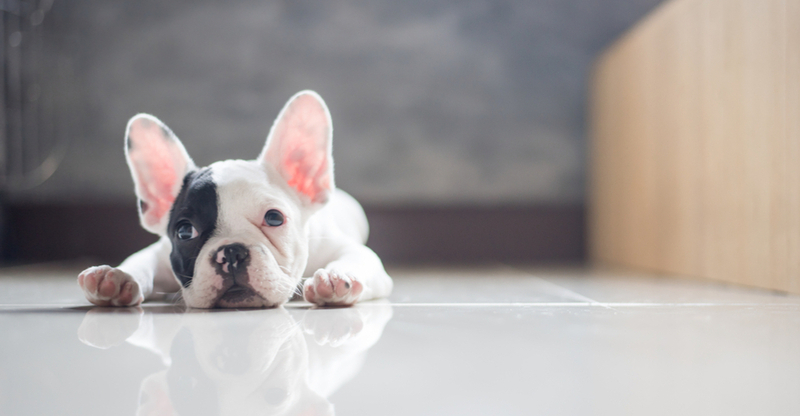 Tips: French Bulldogs are sturdy and their grooming needs are fairly low-maintenance, but you should take some care with their facial wrinkles, cleaning them regularly with a damp cloth. Some of the best small house dogs are companion breeds like the Havanese, which seems born for snuggles and affection. The Havanese weighs around 7-13 lbs. and has a happy, outgoing disposition that makes him great with kids and other pets. Tips: Havanese are hypoallergenic and, surprisingly, don’t shed, but because their coats are longer, they do need regular trims and brushing to keep from getting matted. Playful, fun and silly, Pugs are perfect for apartment dwellers and weigh in around 14-18 lbs. They have a mischievous side, and love to entertain, but love cuddling on the couch, too. Tips: Take care with these pups in hot weather, as they can be sensitive to heat and may snort in general. They can also be prone to weight gain. If you want a dog that isn’t tiny, but can still be happy in a small-ish space, some of the best indoor dogs for you may be medium-sized. They’re still generally portable, but great to have around if you enjoy hiking and getting outside, or want a companion for regular walks through the neighborhood. Which medium-sized dogs should you consider? As always, you should consider needs and lifestyle for both the person and the pet, but these four inside dog breeds may be a great place to start. 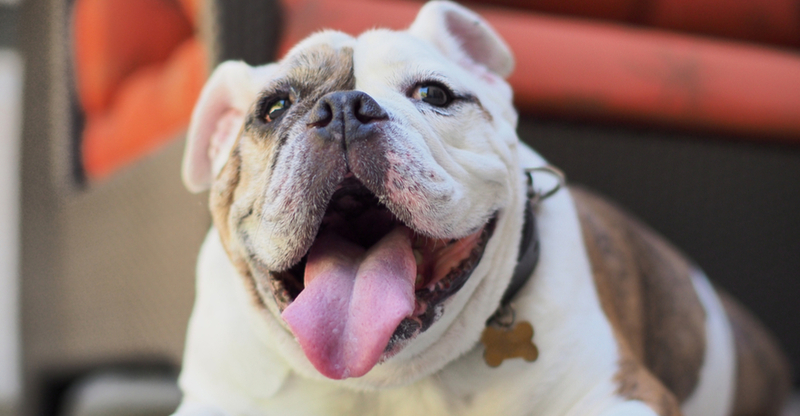 Content as couch potatoes, Bulldogs are gentle, well-mannered and make great house pets. They usually weigh around 40-50 lbs., and are known for a kind disposition and gentle manner with kids. Tips: Like the pug, Bulldogs are prone to weight gain, so make be careful with their diet, and avoid too many extra treats. With a trainable and good-natured temperament, Poodles make great apartment dogs. They typically weigh around 40-70 lbs and love learning tricks. Plus, they do well with kids and other pets. 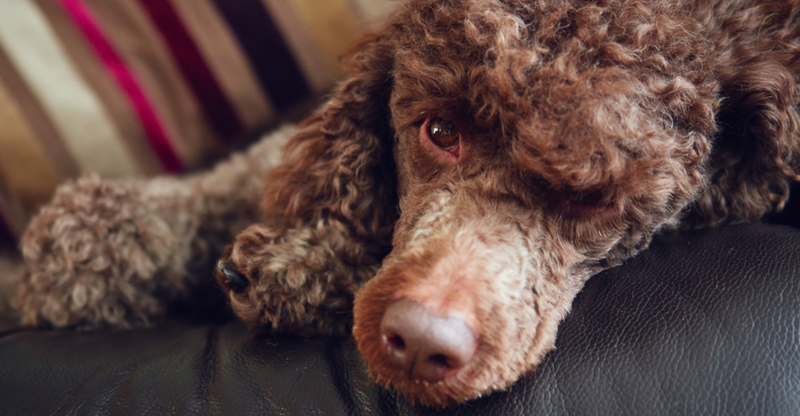 Tips: Their intelligence means Poodles do enjoy keeping busy, so make sure they are entertained with training, indoor play or walks outside on a regular basis. Despite their 45-70 lb. weight range, Chow Chows are not known for being particularly active. They also tend to be on the quiet side, with fluffy, pettable coats that just beg for a snuggle session. Tips: Chow Chows can be independent, more so when they reach adolescence (though as puppies they are generally well-behaved). Make sure you are prepared to train them as necessary. Keeshonden (yep, that’s the plural of Keeshond), are happy and eager to learn. They aren’t couch potatoes, but aren’t highly active, either, and they are generally good with kids. Typically, they weigh around 35-45 lbs. Tips: Keeshonden are more active than some of the other dogs on this list, but not so active they can’t adapt to apartments. Plan on getting them out for walks from time to time. 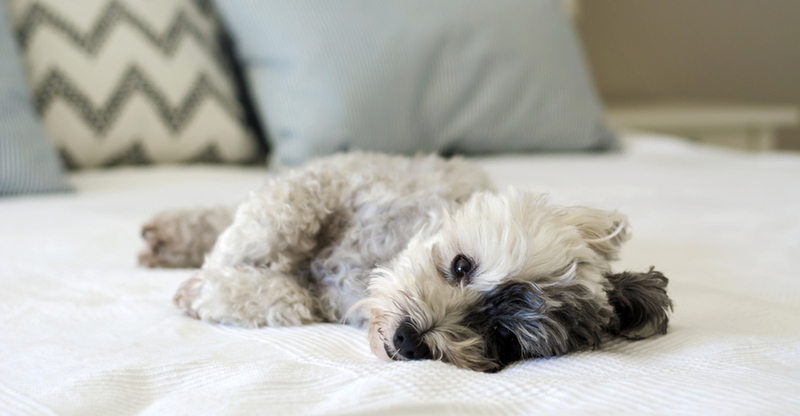 Larger dogs can do well in apartments, just like their little four-legged counterparts. The key is finding the right big dog for your space. Big indoor dogs can be cuddly, fun and comforting to have around, but their larger size means more hair, bigger bags of food to bring up your stairs and probably a few more treks outside for exercise from time to time. The best indoor dog breeds on the larger side should be laid back, good-natured, and not highly active. Here are a few that fit the bill. These big dogs are mellow, kindly, patient and docile. They’re loyal, tend to do well with kids, and pose a big presence at 120-230 lbs. 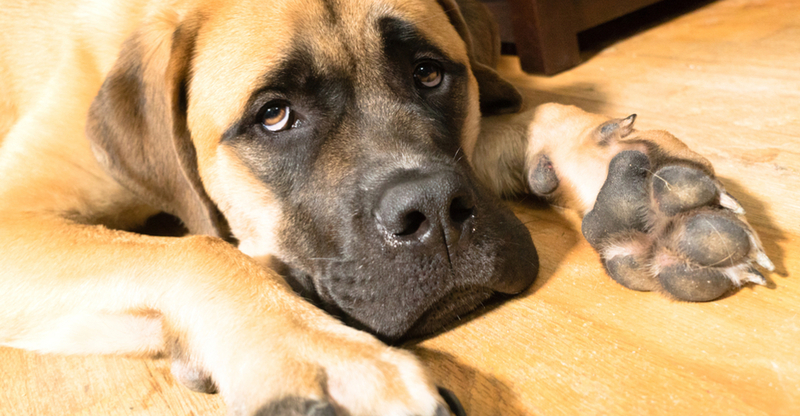 Tips: Bigger dogs, like the Mastiff, can be prone to drool, and while they don’t necessarily need a yard, walks are essential for potty breaks and exercise. Great Danes are laid back and loving, with an elegant nature and an easy-going attitude. They are generally patient, and while they do enjoy exercise, they don’t typically require serious romps. Tips: Their large size (99-200 lbs.) 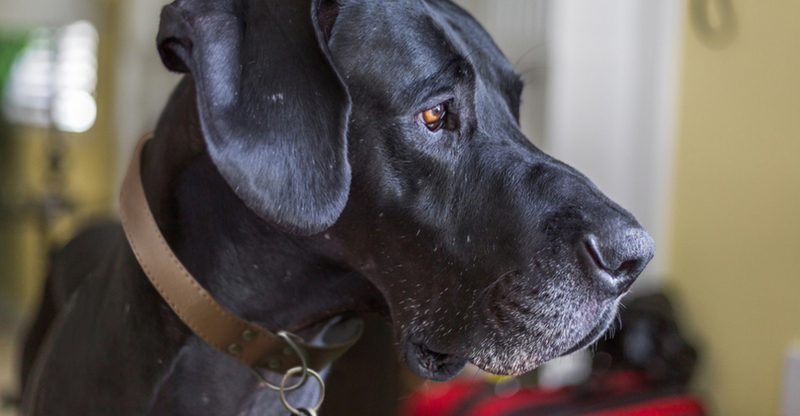 means Great Danes have big bones, and those grow quickly. As puppies, you need to be careful with exercise and play, to make sure they develop appropriately. Surprised to see these active pups the list? Luckily, Greyhounds are less long-distance than most may think. Regular walks or occasional trips to a fenced in dog park will be plenty of exercise for these pups, and after they get their energy out, they are typically content to lie on the couch. Just make room for all 65-70 lbs. of them. 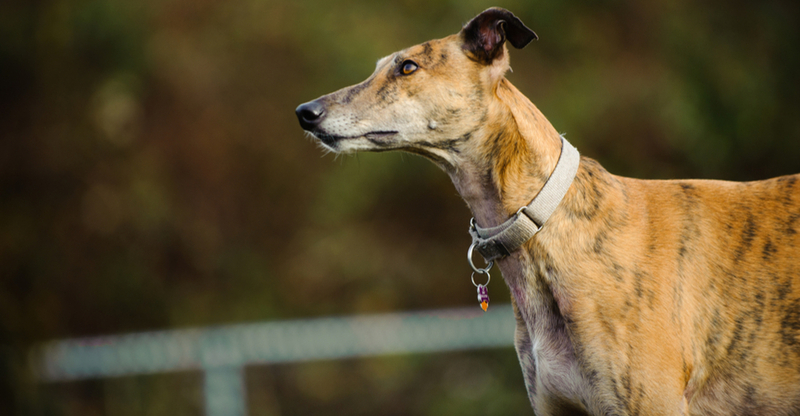 Tips: Some Greyhounds may need to be slowly introduced and socialized with other smaller-sized pets in your household. Don’t forget, the best indoor dog breeds may not be breeds at all. Mixed-breed pets make excellent (and some may say the best) apartment dogs. When choosing the pup you’d like to bring home, ask about his or her needs and personality to make sure that apartment life would be a good fit. It may also be helpful to make sure the pup you bring home gets proper training so he or she can get used to miscellaneous noises, and learn to be comfortable in an apartment setting. On Petfinder, you can find both mixed-breed and purebred dogs, ready for adoption. Spend some time checking out a few adoptable dogs here, and find your new best friend. Note: While the breeds in this collection tend to be excellent for apartment living, individual pets will vary based on personality, training, and life experience. Please consult the adoption organization for details on a specific pet. What is a good hypoallergenic apartment dog? While no dog is 100% hypoallergenic, consider the Bichon Frise who typically weighs around 12-18 lbs. French Bulldogs are generally happy snuggling on the couch, and they have a silly side that makes them fun to have around. The Havanese weighs around 7-13 lbs., and has a happy, outgoing disposition that makes him great with kids and other pets. Playful, fun and silly, Pugs are perfect for apartment dwellers and have a mischievous side, love to entertain, and love cuddling on the couch, too. Content as couch potatoes, Bulldogs usually weigh around 40-50 lbs., and are known for a kind disposition and gentle manner with kids. Poodles make great apartment dogs. They typically weigh around 40-70 lbs, and love learning tricks. Plus, they do well with kids and other pets. 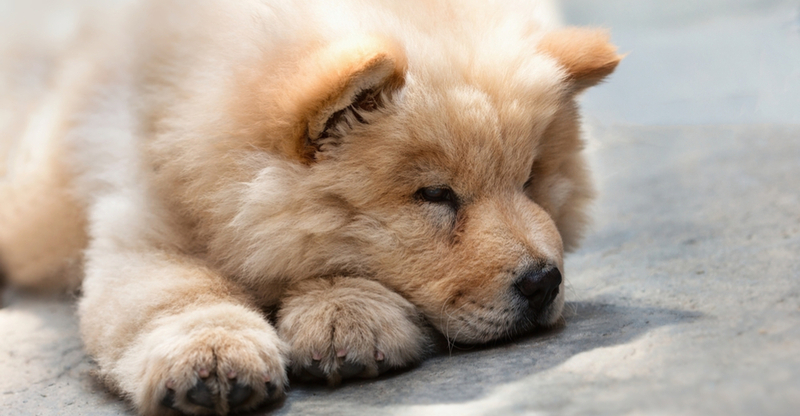 Chow Chows tend to be on the quiet side, with fluffy, pettable coats that just beg for a snuggle session. 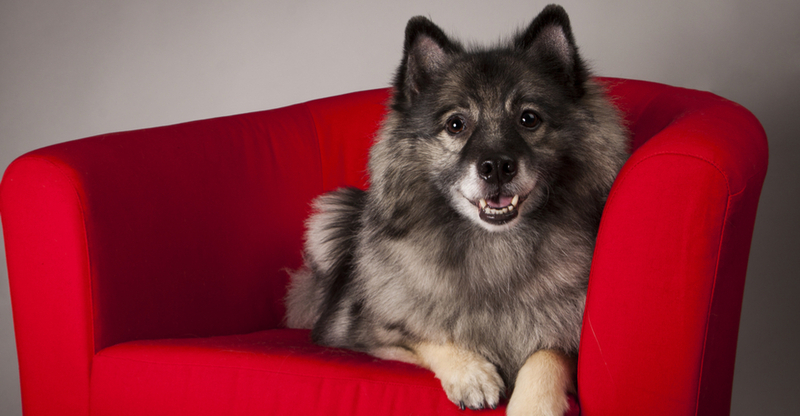 Keeshonden (yep, that’s the plural of Keeshond) aren’t couch potatoes, but aren’t highly active, either, and they are generally good with kids.